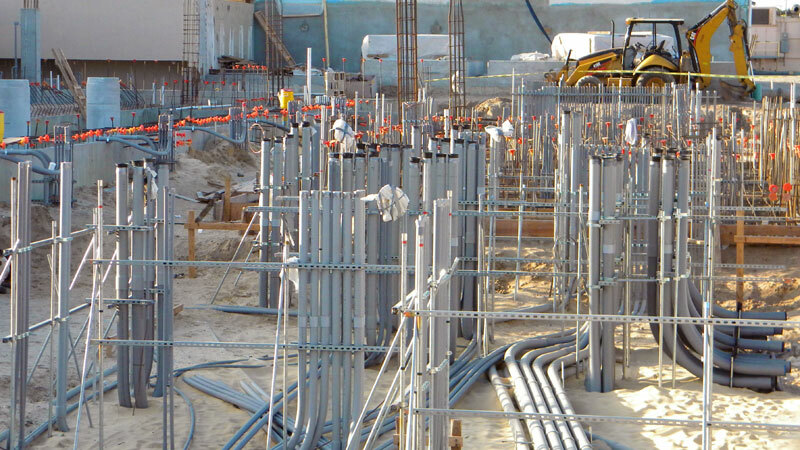 A sampling of various electrical contracting projects we've completed. This project, which we are in the process of completing, replaced the entire service at the existing Facility. We replaced a 480-volt system with a medium-voltage, 12,470-volt loop service consisting of eight 3220KVA pad mount transformers and substations, twelve medium-voltage switches and tie breakers, and three 2500KVA, 12,470-volt backup generators. Additionally, we added a football-field size hazardous location basin, a clarifier with RAS/WAS pumps, site lighting, lightning protection and a new fiber-optic data highway. This project is being completed ahead of schedule with minimum shutdowns and no disruption of plant service. Because this project is an existing facility, we cannot disrupt the plant’s operations. 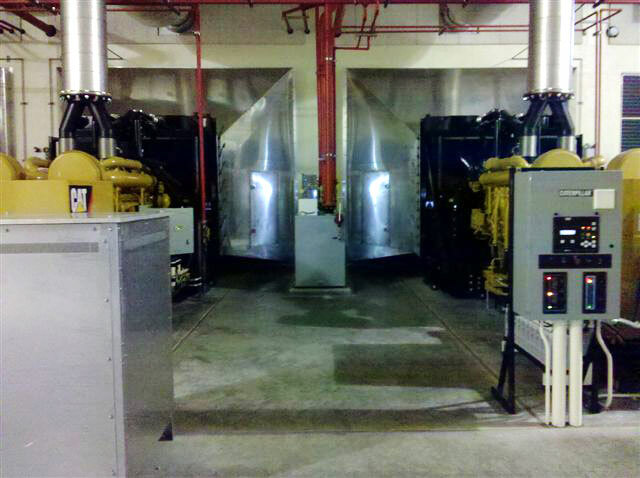 We are replacing the backup power generation system with a 2500KVA generator and an aeration aerobic digester system. We are also adding a belt filter press system, dewatering facility, clarifier, RAS/ WAS pumping system, backwash basins, filter dosing pumps, injection well, disinfection facility and a reclaimed water pumping station. 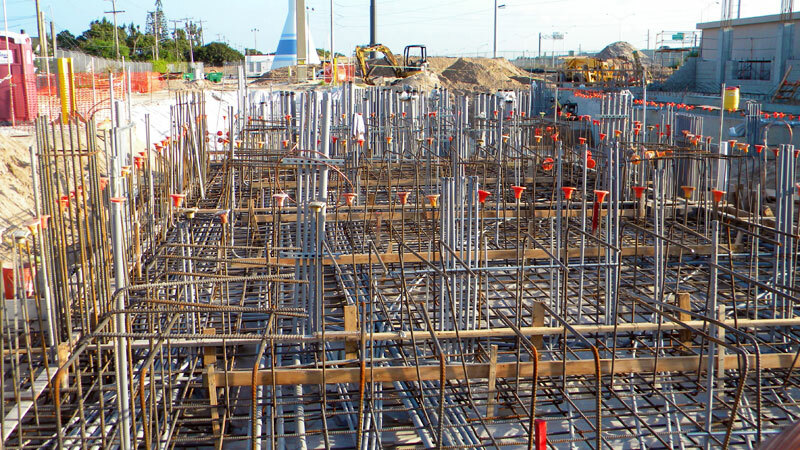 The two Florida Power and Light projects are tied together to provide cooling water for the new power plant being built in Palm Beach County. The power plant and our reclaimed water plants will go online at the same time in order for the power plant to operate. This high-profile project must be completed on time. 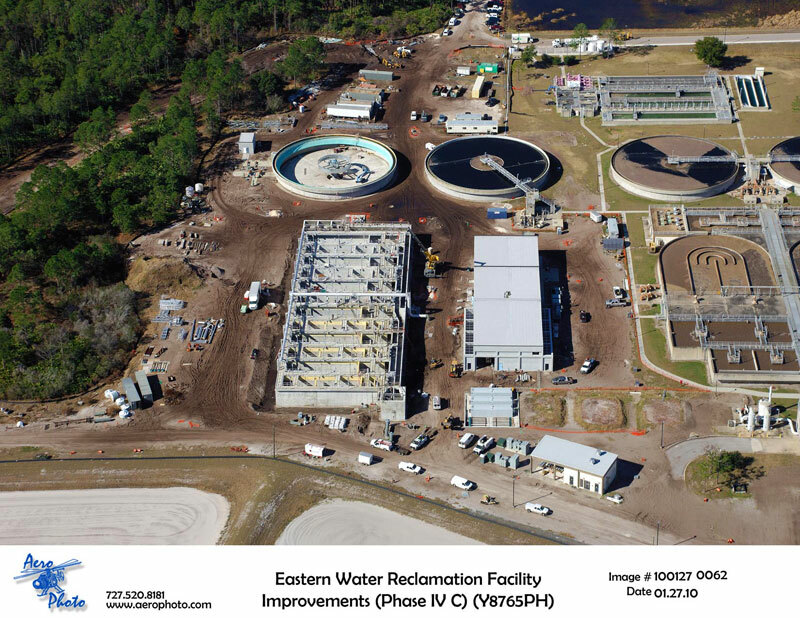 At the East Plant we are providing a new reclaimed water facility next to the existing West Palm Beach Wastewater Treatment Plant with a chlorine contact tank, flash mix / flocculation tanks, sodium hypochlorite treatment, reclaimed water pumping station, lighting, lightning protection, fiber-optic data highway and more, to provide a complete stand-alone plant. 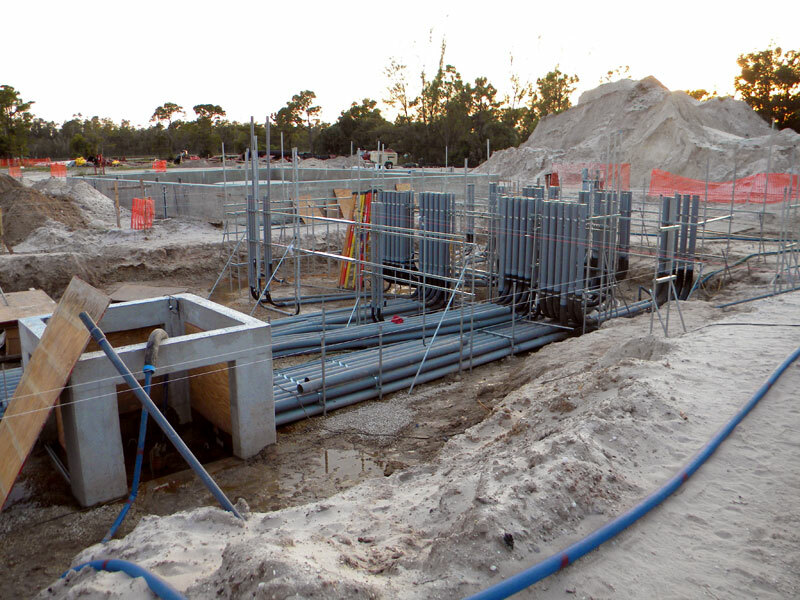 This Seminole County wastewater plant is on a small site in the center of several large residential neighborhoods. We are installing a dual power generation backup system large enough to accommodate the existing and new installations. The equalization and anoxic tanks, deep bed filters, aeration basins, equalization transfer pumping station, clarifier, RAS/WAS pumping system, internal recycle pumps and new electrical / administration / control buildings will take up the entire site. 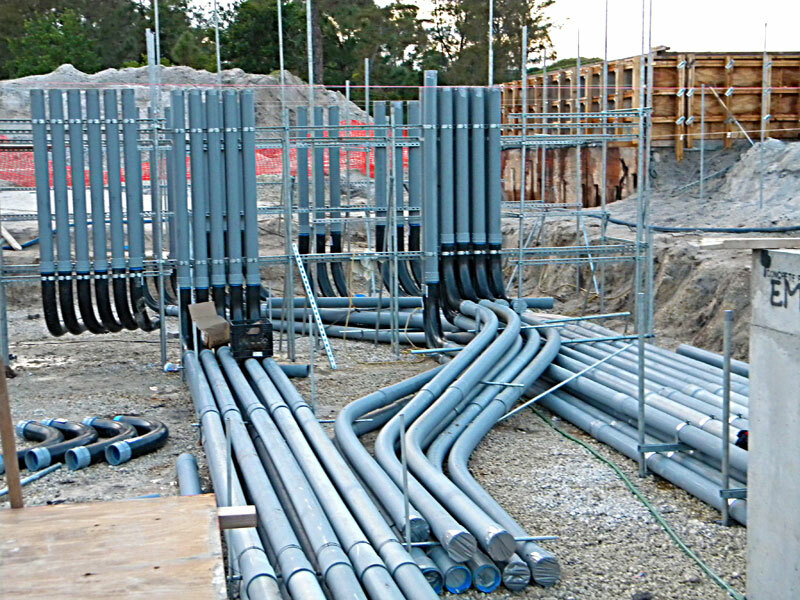 A huge duct bank system makes this project particularly challenging. The new 300-HP blowers, aeration basin, ventilation and HVAC systems, lighting, gas detection and alarm system located on a military base in the heart of Key West has provided a challenge in planning for manpower and materials, but we are up to the task and holding up our end of the deal. This plant is expanding while updating a sophisticated video access security system throughout the entire state-of-the-art facility. We are adding an additional reverse osmosis train complete with pretreatment, chemical storage and treatment, scrubber pump systems, permeate de-gassifier pump systems, clean-in-place system, SCADA system and updated control systems. Orange County is looking ahead with this grass-roots water production plant that includes plenty of room for expansion. Our two 2500KVA 4160-volt service transformers will provide a 4160V power distribution loop throughout the plant, with ten 225KVA pad mount transformers at 4160-480/277 volts, and two 1500KW 4160 volt backup generators. The six off-site wells will provide water to an ozone generation water treatment system with chlorination, fluoride treatment, LOX storage, side-stream injection pumping system and a high service pumping station with two large storage tanks. We are anxious to get started.